Two sides of the same idea? Or something different? Some of the most acclaimed stinky, runny cheeses made in the U.S. come from Jasper Hill Farm. Époisses. Munster. Limburger. Liederkranz. Roquefort. Stilton. You can smell these cheeses when they are fully ripe from 10 paces. Pungent aromas can range from mushroom to barnyard, moldy to locker room. On their own, these smells would strike most of us as bad. So why do cheese connoisseurs swoon over them? Well, these cheeses can achieve textures that are miraculously silky and creamy. Those who love them also insist that the flavor is much better than the smell, weaving in complex fruit, clotted cream and forest-floor notes. I've had that experience. There are parallels with wine, especially when you get into discussions about the funky flavor characteristics in some (but not all) natural wines, or (if you prefer) wines made with minimal intervention. I can understand why those who champion funkier wines like the complexity these flavors can bring, especially when the texture gets smoother as well. I've had that experience too. People who love funky cheeses can't understand those who don't, just as some eagerly look past barnyard notes in their glass of red while others wrinkle their noses and push the glass away. The difference for me is how those characteristics got into the cheese or wine in the first place. Cheesemakers intentionally manage those funky flavors. Washed-rind cheeses develop a whole different set of bacteria than do those that are simply allowed to develop under a coat of innocuous mold. Penicillium molds injected into the newly formed cheeses create blue cheeses such as Roquefort. The results are repeatable. For wine, some winemakers might intentionally encourage specific microbes that lead to these pungent flavors, but usually it's hands-off winemaking that opens the door to bacteria and yeasts that other winemakers scrupulously avoid. That's the difference. Cheesemakers want every batch to develop the same specific flavor profile as the last, and they are careful to introduce only the microbes that will achieve it, keeping out others. Leaving it to chance may well produce a wonderful mouthful of earthy deliciousness, or an unfortunate result. One of my favorite American-made cheeses is Red Hawk, made by Cowgirl Creamery in California. 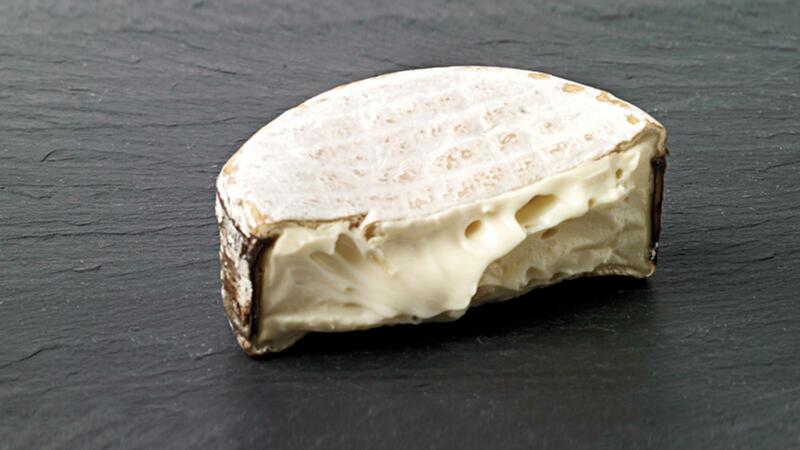 This washed-rind cheese develops a distinctive red surface and a pungently delicious, smooth-textured interior. I also love a good Époisses, the Burgundian washed-rind cheese that ages into a runny, fragrant puddle that must be spooned instead of sliced. And yes, I have happily consumed wines with a hint of brett (or some other funky notes) in a complex profile that centers on flavors that otherwise feel pure. I get it that the result can be extraordinary. I like to eat washed-rind cheeses when their textures have softened to an oozy runniness, when the earthy or gamy notes are still in harmony with the essence of the cheese. Left too long, the cheese can get so pungent it tips over into too acrid. Or worse, it can develop ammonia. I can gently press on my little wheel of Red Hawk or basket of Époisses to know when the right stage has been reached. With a funky wine, I can't. How much risk are you willing to take to find the magic? I'm reminded of the old saying: "It's either very good cheese, or very bad meat..."
If you've never tried it (and can find some somewhere) then Stinking Bishop from Charles Martell in Gloucestershire, England, is - as its name implies - stinky and wonderful stuff.